The Hybrid is essentially without a competitor in the field, but you'll have to drive conservatively to earn those 45 miles per gallon. 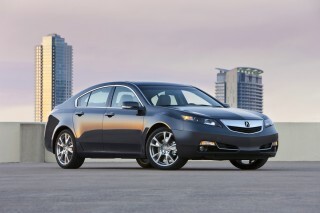 Otherwise, a front-wheel-drive MKZ Reserve with the V-6 offers the best bang for the buck. The 2014 Lincoln MKZ places many of its bets on its distinctive styling, as well as its modern technology and best-in-class fuel economy. The Lincoln MKZ was completely overhauled last year, and it now embodies the future of Lincoln's design language. This follows what is essentially the third fresh start for the company since the late 1990s, and in this case, it's first car in what Ford is calling a reinvention of the entire brand. The 2014 MKZ gives us some encouragement for what Lincoln has up its sleeve for future products, but it also tells us some hard truths about what the brand is today. Where Cadillac has successfully redesigned its brand from the ground up over the past 10 years, Lincoln has faltered along the way. The MKZ has been one of its only shining stars–bringing in a younger demographic of shoppers with improved gas mileage and modern technologies–but it's done so by essentially removing itself from anything else Lincoln has stood for the past. And it's even more distant from the past, and from the rest of the lineup, in 2014 trim. The massive wings and Weber-grade grilles of the recent past have been put out for tag sale. This MKZ has a subtler take on luxury, more along the lines of Lexus and Volvo. Those Volvo influences are especially noticeable at the rear, and inside, with the floating effect penned into the center console. The bits of Lincoln heritage? They're reduced to the handsomely scaled-down grille and to the badgework. 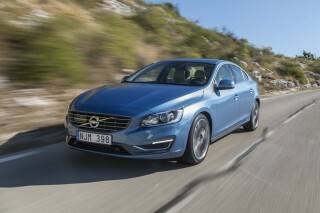 It's as globally clean and subdued as mid-size luxury sedans come. To its credit, the MKZ has substantial visual heft, and some pretty, elegantly spare angles without fender-vent nonsense or other gimmicky cues. The barest amount of excess is left for the inside, where the lack of a shift lever is the eye-popping detail. It dukes it out with the dominant LCD touchscreen, both playing the modern card for maximum impact. We're not sure there's a single identifiably "Lincoln" element in either of them, or for that matter, anywhere to be found. For those who want a sporty, enthusiastic performer, there's never been a better Lincoln than this MKZ. It carves out better performance and gas mileage from a new trio of powertrains. The base 2.0-liter turbo four is rated at up to 33 mpg highway; it's a strong straight-line performer, with or without all-wheel drive, but it can seem a little coarse for this luxury application. An uprated, 300-horsepower, 3.7-liter V-6 returns, and it may be worth the cost of the upgrade for smoother performance alone. With either, the MKZ is truly quick, and the paddle-shifted automatic--actuated by pushbuttons on the dash--snaps off gearchanges well enough, though the Fusion's manual transmission would be a fun option, in another world, one with a console made for shift levers. 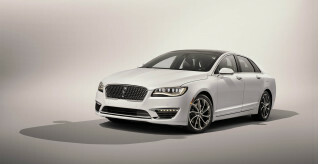 The MKZ Hybrid returns as the luxury vehicle with the best gas mileage, Lincoln says. Originally rated at 45 mpg combined (45 mpg city, 45 mpg highway), the company agreed in June 2014 to lower that rating to 38 mpg combined (38 mpg city, 37 mpg highway) and reimburse existing owners after it discovered errors in both its lab-test measurements and its calculations for aerodynamic drag. On the safety front, the MKZ pulls together nearly every piece of technology that's been added to other Ford and Lincoln products over the past few years--everything from a rearview camera to navigation systems governed by MyLincoln Touch, to inflatable rear seatbelts, to newly added features like lane-keeping assist and adaptive cruise control. The MKZ also integrates parking assist, which takes control of the steering and guides the sedan into a tight parallel parking spot, with the driver keeping control of braking. And it's an IIHS Top Safety Pick+, singled out as one of the safest vehicles on the market. MyLincoln Touch's voice controls take the reins over secondary controls, with buttons on the steering wheel offering redundant ways into the complex system. Ford's spent some time refining the system and reducing the amount of information on each display screen; it's still a system with a steep learning curve and sub-optimal results, but nothing else would enable that starkly imaginative console design. In other respects the MKZ's luxury touches are fairly conventional. There's plenty of real wood trim and leather is standard. The finishing touch is a stunning one, though: a 15-square-foot available panoramic roof that slides back as one piece, exposing the new MKZ's cabin to the sun. With its Fusion-like ride firmness and meaty-feeling electric steering, the MKZ is sharp and more aggressive at tackling turns than even the last-generation version. It comes standard with Lincoln Drive Control, which lets drivers adjust settings for shocks, steering, stability and traction control, and active-noise cancellation. Lincoln says the result is better ride and handling with the adaptive settings, but the trade-off versus the Fusion's conventional shocks seems a zero-sum gain to us. In anything but Sport, the MKZ feels less composed and comfortable than it ought to. Softer tires and more progressive, expensive shocks might have been an easier solution, but maybe not as mechanically distinctive from the Ford iteration. We predict two questions coming to every new Lincoln MKZ driver. The first one's easy to answer: "Is that the new MKZ?" The second one's much more difficult to come to grips with: "What makes it a Lincoln?" Strip away the grilles and badges, and we're not exactly sure. In the greater scheme, it's Lincoln's Olds Aurora--a car that's satisfying more for what's not true to its heritage, than for what is. And in this case, it's tough to forget that there's hardware just as good, just as interesting, almost as opulent, just a rung down its own corporate ladder. The Lincoln MKZ is a nostalgia-free zone--even the shifter's been left to history's scrap heap. The 2014 Lincoln MKZ is both sleek and substantial, wearing more character up front than its predecessor had in its entire summation. We'd say that it looks like a Volvo from near every angle–except for its front quarters–and it's perhaps the most attractive vehicle Lincoln has built in recent history. The MKZ is in many ways a product of the brands Ford once owned–just look at its rear decklid, and you'll see some very Swedish-looking influence there. It's smooth and aerodynamic from head to toe–with exception to its mustached grille–something Lincoln claims to as an homage to the 1938 Zephyr. But, it's the car's thickness and length that really set it apart from Lincolns of yore. It's not beefy–it's far too elegant for that–but it still wears a bulk that other Ford products just don't carry at this point. It's what's not there that really distinguishes the MKZ's interior. There aren't traditional shifters of any sort, but rather a set of shift buttons that flank the car's LCD screen. Without the shift lever, the screen takes over the interior, and stylists have made the most of it putting metallic parentheses around it, lowering the console in front of it, trimming out space beneath the armrests to accentuate the center of the car as much or more than the coolly glowing gauges themselves. It's a striking cue, one that frames the whole driving experience as you continually forget there's no lever to fall to hand. All that digested, there's a layer of Lincoln left unapplied to the MKZ, one we really hope is drizzled into the batter of future products. The MKZ is almost too spartan: the winged grille and walnut trim are everybody's idea of understated elegance, and the pushbuttons are a clever detail. Beyond that, the MKZ doesn't have the depth of personality that even some ancient Lincolns with mixed virtues (Mark VIII LSC, anyone?) laid right in the driver's lap. The glitz is gone--and in the process, Lincoln's shorn off a lot of glamour, the one resource they could mine forever from history. 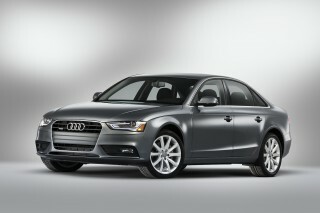 It's left hidden behind keywords like "modern" and "responsibly harvested" that aspire to Audi, but fall just short. The best-handling Lincoln ever offers a choice of an energetic turbo four or a strong, muted V-6; either does the job well, but not without feedback. There's never been a Lincoln as athletic as the 2014 MKZ. It seems almost completely out of place when you compare it to the last generation model, and completely unrelated to the Town Car that's since been retired. We're not sure yet whether it's a blessing or a curse, but we do know that it's going to take a minute to recalibrate our expectations of the brand. The MKZ shares the Fusion's electric power steering, but the strut and multi-link suspension gets adaptive shocks with three driver-selectable settings in the MKZ. In nearly 200 miles of driving over interstates, secondary and surface streets, we chose the Sport mode over normal and comfort most often, to our surprise. In the Fusion, the very taut ride is entertaining for enthusiasts, but in a family sedan, it's a borderline choice. In the MKZ, the Sport mode produces nearly the same ride firmness and induces some weight in the steering that feels the most natural of any of its settings, though there's still very little feedback. In the other modes, the MKZ struggles for that level of composure, trading its absorbent ride for something less nuanced, and mostly just "soft." We'll concede user-selectable steering is an easy gimmick to put on the latest electric-steer cars, mostly to no harm. Going to an adaptive suspension that doesn't notably improve handling, instead of choosing more talented shocks and tires, sounds like overkill. Three powertrains are offered in the new MKZ, and two of them are essentially identical to their counterparts in our Best Car To Buy 2013, the Ford Fusion. The base MKZ gets a new turbocharged four-cylinder engine, coupled to a six-speed automatic with paddle shift controls, with either front- or all-wheel drive. Rated at 240 horsepower with 270 pound-feet of torque, it's good for an EPA-rated 22/33 mpg. A 0-60 mph time of about 7 seconds makes even this base MKZ a brisk performer, but it's a powertrain that can befuddle drivers with its coarse sound at the top of its rev range--where noise evades the active sound cancellation system that's standard equipment. What sounds perfectly refined for the price of a Ford Fusion--we said it's "the most vibration-free, quietest installation of this powertrain we've yet experienced"--doesn't make as good a grade in something costing a few thousand dollars more, wearing a premium badge. A revamped version of the MKZ's 3.7-liter V-6 returns, with 300 horsepower and a choice of front- or all-wheel drive, and the same carryover six-speed automatic transmission controlled by dash-mounted pushbuttons, one of a host of new touches Lincoln's using to distinguish the MKZ from the related Ford Fusion. Fuel economy's estimated at 18/26 mpg with all-wheel drive. We haven't yet been able to sample this version, but past experience with the same drivetrain and impressions from other reviews would have us ticking the extra-cost box for it, even though gas mileage dips. Finally, there's the MKZ Hybrid, with the new generation of Ford's hybrid drivetrain. The new 2.0-liter four-cylinder hybrid drivetrain has lithium-ion batteries and a continuously variable transmission, better packaging and lower weight, and according to the EPA, earns 45 mpg across the board. See our Green section for more details on the numbers and whether or not they're truly in reach--in terms of raw performance, the MKZ Hybrid's destined to be the least emotive performer, but in our related experience in the Fusion Hybrid, it's still the most engaging mass-market hybrid on the road today, though acceleration is noticeably slower, steering feel is less quick and the low-rolling-resistance tires thrum sometimes at highway speeds. The MKZ' finishes aren't luxurious, in the traditional sense, and neither is its ride. Inside, the Lincoln MKZ is a well-finished and spacious. However, it leaves a few impressions–like its sound quality and a few interior materials–that don't sync up with the Lincoln brand, and it's not quite as roomy as the less expensive Ford Fusion. It knits together better from outside than inside, we think. Somehow, the lack of a transmission shifter, the dominance of LCD touchscreens, the presence of four-cylinder noise even with active sound cancellation, and the occasionally cheap button don't render the idea of quality as well as might have been hoped. Wide plastic panels across the console feel and fit inexpensively, and are an obvious flaw. The touch of the transmission buttons is another. Chrome and mother of pearl are too retro, piano black is too passe--all granted--but a calling-card feature deserves better treatment than the thin, grey-on-grey buttons that click the MKZ into drive and park. 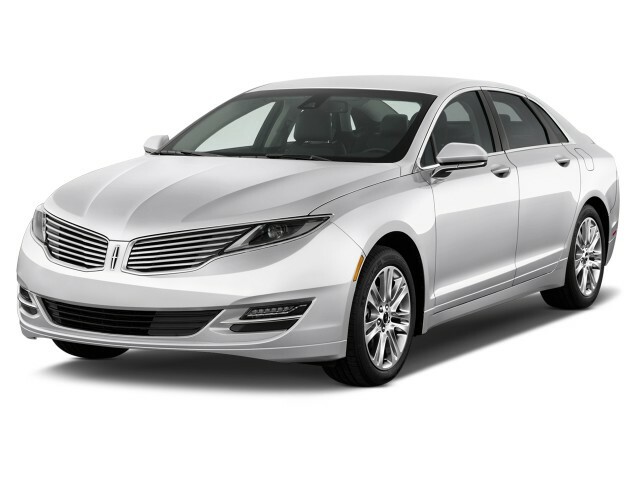 At 194.1 inches long, on a 112.2-inch wheelbase, the MKZ varies only in styling length with the Fusion. The trunk size is identical, and interior volume is just a bit smaller, mostly due to the MKZ's lower roofline--there's an inch less leg room in back, and more than an inch less in head room compared to our Best Car To Buy 2013 winner, the Ford Fusion. That's a dimension where we already criticize the Fusion, but the MKZ isn't alone in pulling up short in rear-seat headroom in this class. In front, it's better, even with a sunroof--we've only experienced the single-pane sunroof, not the huge panoramic roof that's also offered. Rear-seat leg room isn't as expansive as in the new Lexus ES, but thinner seats have helped carve out an inch or two of space for six-footers to sit behind other six-footers. There's some fiction at work with the MKZ's console design. The slim stack of controls leaves theoretical room for storage under and behind the console. It's an execution Ford knows too well from Volvos it produced in the past. But in the Lincoln, the console shape blocks some access to that space. The flying-arch design begs for something more regular, at least where utility is concerned. The seats are fit and Euro-firm, and they're part of the MKZ's divorce from any trace of Lincoln's past. The previous MKZ softened up its Fusion ride firmness with plush cushions covered in Bridge of Weir leather. This MKZ drops the pretense entirely, adopting sleeker, less forgiving chairs that can be upgraded to multi-contour seats that inflate and deflate cushions selectively as the car corners. It's as if even the Volvo-alike seats from the past version weren't good enough--and now the MKZ's gone into full Teutonic mode. It's a subtle change felt before it's figured out. How buyers will judge the MKZ's slightly off-mark execution of luxury remains to be seen. To us, it's straightforward and modern, and a little confusing, all at once. It's been at least a few generations since materials this lavish were applied in a base Lincoln, but the expectations for this MKZ run even higher, given its strikingly spare design. Why is a rearview camera optional on a car that puts safety at such a priority? There's not a tremendous amount of historical data available on the MKZ's safety, but had promising results with recent crash tests. There are several advanced safety optional available. That includes a lane-departure and lane-keeping system that uses a camera to place the car in a lane, and to help correct its progress when it crosses the driving line. Adaptive cruise control isn't as much a convenience feature, we think, as it is a fuel-saver: on MKZ Hybrids, a tap of the resume button can be a big boost to fuel economy, and a more finely tuned input than the driver's foot. Standard equipment, along with the usual stability control and airbags, also includes Bluetooth. However, you'll have to choose the Select equipment package to get a rearview camera and parking sensors, the latter of which should be standard equipment in a luxury car, since it's now included on every Honda Civic. The MKZ Reserve package adds on blind-spot monitors with cross-traffic alerts--they're a feature that offers enough useful information to earn our recommendation. The National Highway Traffic Safety Administration (NHTSA) scored the MKZ at five stars overall, with a five-star rating for frontal-impact protection, and four-star scores for both side-impact protection and rollover resistance. The Insurance Institute for Highway Safety (IIHS) has tested the MKZ and given it the Top Safety Pick+ nod, with the new model earning top 'good' scores in all categories, except for an 'acceptable' rating in the new small overlap frontal test. Lastly, the MKZ offers rear-seat, outboard inflatable seat belts. Ford claims the new belts can reduce injuries to back-seat passengers, but as of yet, it's the only company using them. Whether you choose the hybrid or gas-only drivetrain, the 2014 MKZ offers more features that most other vehicles in its class–and that's before you adding on the options. On gas-only models, the V-6 is considered an option, and all-wheel drive can be had with either engine. There's plenty of equipment that comes bundled in packages with exclusive-sounding names. The Select package adds a rearview camera and parking sensors; HD radio; and wood steering-wheel trim. Reserve brings navigation with real-time traffic; blind-spot monitors; a power trunklid; and a power tilt/telescoping steering wheel. Preferred adds 19-inch wheels; a heated steering wheel; heated outboard rear seats; a 700-watt, THX II-rated audio system; and a choice of either a single-pane sunroof or a massive piece of retractable panoramic glass measuring more than 15 square feet. The light it brings into the cabin is striking--but the value/price point might be best at the Reserve level. 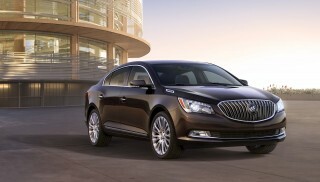 Both gas and hybrid versions come standard with power windows, locks, and mirrors; automatic climate control; an 11-speaker audio system with a CD player and satellite radio; power heated front seats; 18-inch wheels; adaptive LED headlights and LED taillights; adaptive suspension; leather-trimmed seats and steering wheel; wood dash trim; pushbutton and remote start; Bluetooth; and steering-wheel multi-function controls. MyLincoln Touch is also standard. It controls infotainment, climate, navigation, and secondary vehicle systems with voice commands, touchscreen taps, or steering-wheel toggling. Our usual caveat applies here; MyLincoln Touch is a complex system with a steep learning curve, and in our experience, only about 75 percent of the voice commands make it through to actual execution, whether it's finding a track name from an audio source or hitting the right destination from the navigation database. The screen layouts have become clearer and response times don't seem to be the issue they were when the system was launched in the 2011 model year, but we've also found some similar Bluetooth-dropping bugs in Cadillac's CUE. The Lincoln MKZ Hybrid is one of the most efficient vehicles in its class, but your mileage may vary. 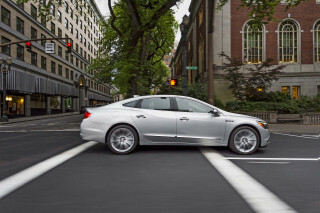 With the 2014 Lincoln MKZ, the company claims to offer the luxury sedan with the highest fuel efficiency in the U.S. There may be some legitimacy tot hat, but the company was forced to reduce the gas-mileage ratings on its most efficient MKZ Hybrid models for both 2013 and 2014 after discovering significant errors in its testing practice. While the hybrid MKZ is still efficient, it's not as impressive as it was before the June 2014 ruckus. UPDATE: While the 2014 Lincoln MKZ Hybrid was originally rated at 45 mpg combined (45 mpg city, 45 mpg highway), in June 2014 the company agree to cut the ratings to 38 mpg combined (38 mpg city, 37 mpg highway) after discovering errors in lab-test measurements and calculations for aerodynamic drag. The EPA let Ford lower the ratings and reimburse 2014 MKZ Hybrid owners for the increased gasoline costs, as it did for owners of five other cars whose ratings were reduced at the same time. Like the Ford Fusion, its corporate cousin, the Ford Fusion, the MKZ comes equipped with a four-cylinder engine as standard equipment. In this case, the 2.0-liter turbocharged four-cylinder in the MKZ delivers EPA-rated fuel economy just shy of that of the Fusion. It's 22 miles per gallon city, 33 mpg highway, or 26 mpg combined in front-drive MKZ sedans; in all-wheel-drive form, it's pegged at 22/31 mpg, or 25 mpg combined. The V-6 is Lincoln's own exclusive engine offering in the MKZ, and predictably, its gas mileage numbers are lower--but not by that much. The EPA figures put it at 19/28 mpg, or 22 mpg combined for front-drive models; the all-wheel-drive version is set at 18/26 mpg, or 21 mpg combined. Finally, there's the MKZ Hybrid, which shares the Fusion Hybrid's 2.0-liter four, teamed to lithium-ion batteries and an electric motor. It's worth noting the widespread reporting of lower-than-predicted fuel economy in Ford's latest hybrids. Anecdotally, owners have reported mileage more in the high-30-mpg range; we've directly observed 41.6 mpg in the related Fusion Hybrid, with stretches of an observed 45 mpg. What it means to you? You'll likely get gas mileage lower than that on the window sticker, but if you're religious about following the MKZ's SmartGauge to monitor fuel use, and you're very careful to accelerate slowly and smoothly, you'll maximize the benefits of the hybrid powertrain--and the same driving habits will do the same for non-hybrid models. The Lincoln MKZ Hybrid offers me comfort, entertainment, and a tireless and quiet ride. l am very impressed with the car.